The UK’s construction industry has most definitely been through some tough times in recent years, seeing a decline in building projects and job losses. Thankfully, the outlook for 2014 seems to be positive with output rising, particularly around new build developments. It seems the industry is at last beginning to get back on its feet. 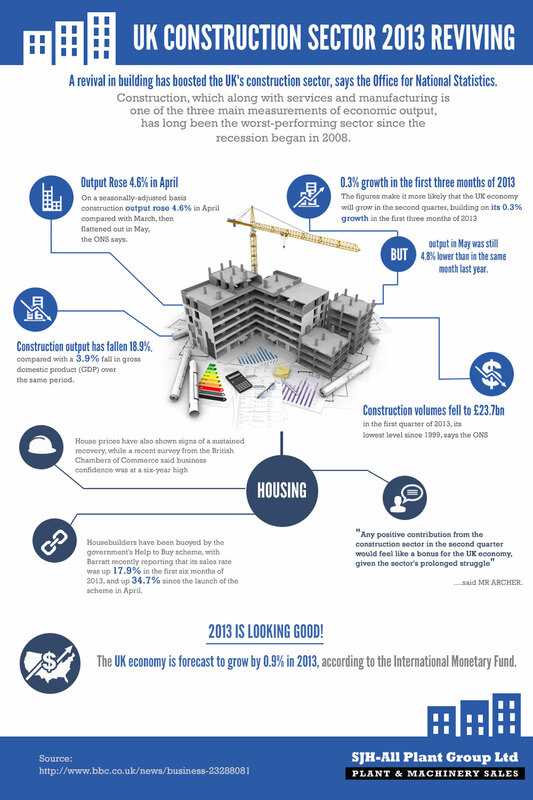 We have found five infographics that highlight the current state of the UK’s construction industry and the outlook. It will be no surprise to many to find that one of our infographics indicates that tradesmen are working harder than ever, averaging 41-50 hours per week. When every hour counts, it is essential to have the best tools and equipment for the job at hand. Here at Redband we stock a wide range of construction equipment and tools, many from leading brands such as Husqvarna, MBW and Clipper, each designed to offer the best in performance and power. For more details on the Redband range call a member of the friendly and knowledgeable team on 0116 260 2601.